NEW DELHI: The digital age seems to be dawning on the Capital’s government hospitals as well. 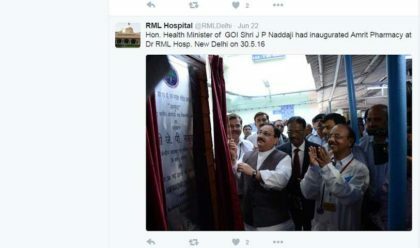 Three of Central government run hospitals -Safdarjung Hospital, Lady Hardinge Medical College and Dr Ram Manohar Lohia Hospital have take initiatives in the same by opening their twitter accounts. 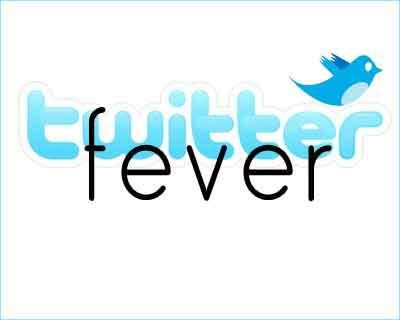 All the three hospitals started their twitter accounts on 21st June, 2016 on the International Yoga Day. 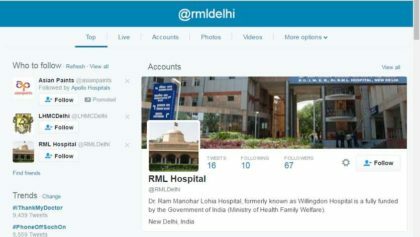 Over the past few weeks, the hospital has posted 16 tweets using its @RMLDelhi account and got 16 likes and 67 followers. The tweets were about Yoga Day celebration at the hospital, newspaper clippings and the inauguration of the AMRIT — the affordable medicine and implants store. 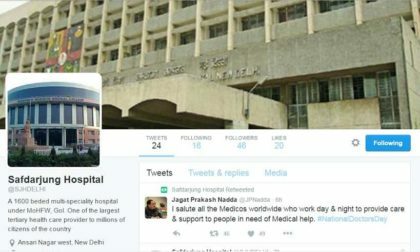 Besides their pre-planned updates about hospital activities an programmes, Safdarjung hospital plans to update its monthly patient data on Twitter to make the functioning more transparent. 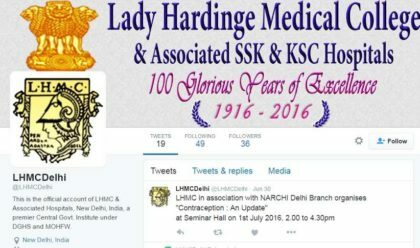 The twitter address for safdarjung is @SJHDelhi, till the date, the Safdarjung hospital has 24 tweets, 46 followers and 7 likes. The tweets were about the history of the hospital and newspaper clippings where doctors of the hospital have been quoted.